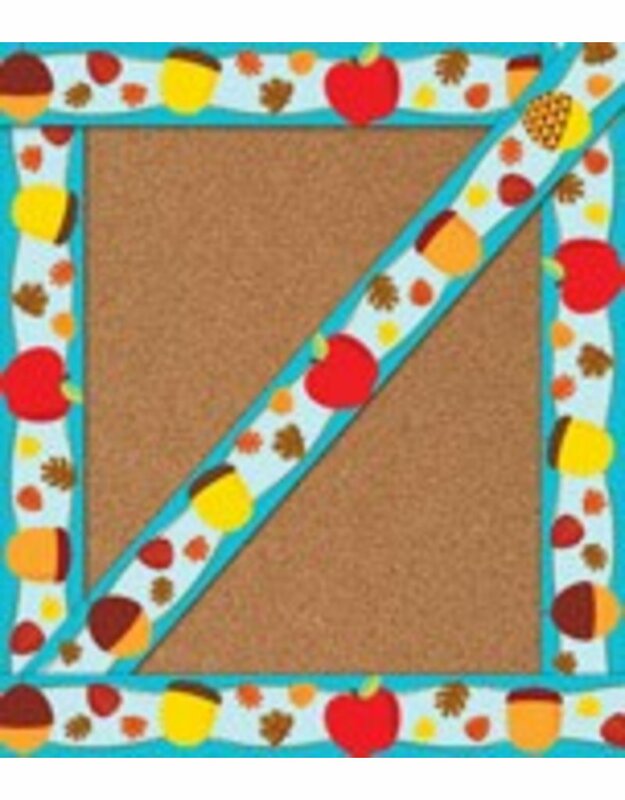 Add a warm touch to your learning environment with the Apples & Acorns straight border. This straight border features apples and acorns on a blue background and is accented with a variety of autumn leaves for a design to celebrate the season. --A simple solution for accenting classroom displays, bulletin boards, windows, and doors, straight borders provide an easy, affordable way to create a colorful classroom. Each pack features 12 strips that measure 3 feet x 3 inches for a total length of 36 feet. Use these borders individually or cut and layer them to create your own special style. Be sure to look for other coordinating products to create a cohesive classroom theme!